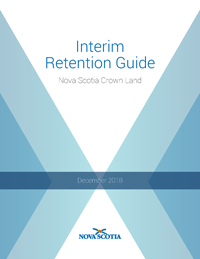 In December 2018, government released a new interim retention guide for tree retention for Crown land licensees that put greater focus on multi-aged management practices. On March 14, the Biodiversity Act was introduced, creating a platform for regulations to manage threats to rare ecosystems and better protect wildlife against threats such as invasive species. 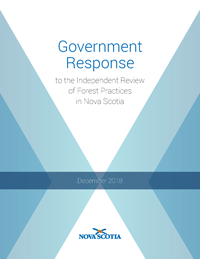 Government and the Mi'kmaq of Nova Scotia recently launched a forestry pilot project that gives the Mi'kmaq forest planning and management responsibility on 20,000 hectares of Crown land. On March 19, the province announced an additional $1 million for Crown land silviculture for the current fiscal year. 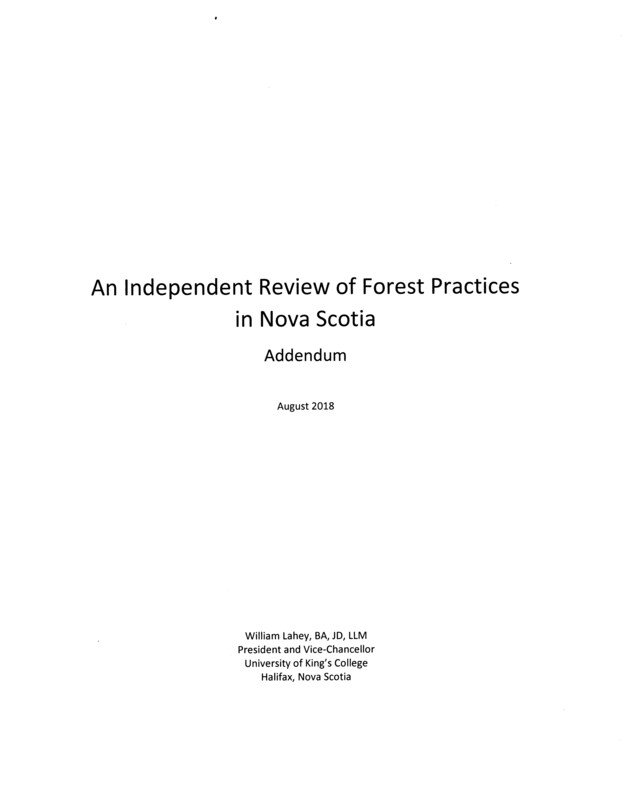 The funding will be used to improve the quality of Crown land forests across Nova Scotia. Lands & Forestry has several project teams working to address key recommendations. Check this page regularly for progress on ecological forestry. Members on the Forest Management Guide project team have expertise in the Forest Management Guide, pre-treatment assessment, biodiversity and resource management planning. Former Regional Resource Manager Mark Pulsifer leads the Forest Management Guide team. Mr. Pulsifer is a part time member of the biology faculty at St. Francis Xavier University. The department is in the process of procuring external expertise to support this project. More information on the experts will be shared as it becomes available. Natural Disturbance Regimes team includes Lands and Forestry staff with expertise in this field, landscape level planning, biodiversity and resource management planning. Mark Pulsifer leads Natural Disturbance Regimes team. The department is leading a multi-department team that is looking at options for small-scale wood energy projects using wood chips, like those operating in PEI. The team is in place and studying where it could be used in public buildings across the province. The team is led by Rany Ibrahim, Lands and Forestry's Director of Economic Development & Trade. A Frequently Asked Questions sheet will be posted soon. Lands and Forestry's internal team members have expertise in wildlife, biodiversity, habitat, and forestry. Work is currently underway to identify experts and scientists to work with the team. The team's work will include completion of outstanding provincial recovery plans and status reports. The following teams have recently been formed and are at the stage of developing work plans, which will include identifying the necessary expertise and stakeholder engagement. 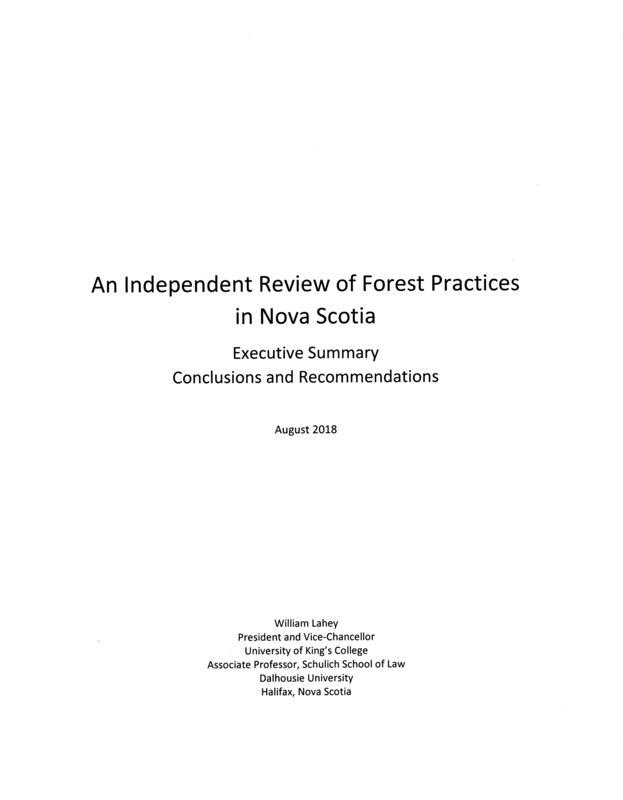 Work has started on Professor Lahey's recommendations regarding environmental assessments. 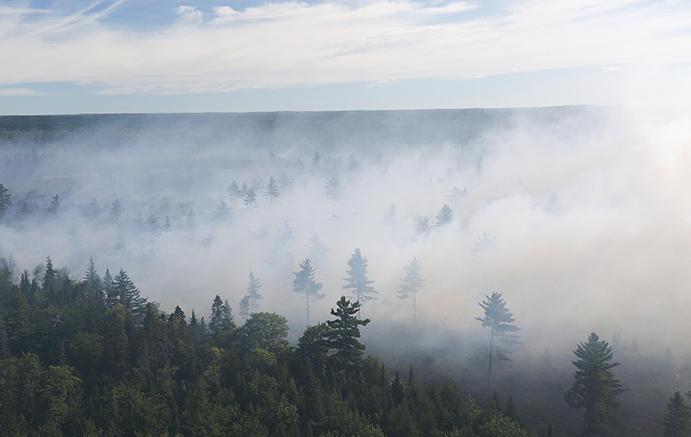 The department looking at all potential options, including considering what is happening in other jurisdictions, and how an environmental assessment process could fit within the forest management planning system. Early work on developing an evaluation framework is underway to support Professor Lahey's independent evaluation.